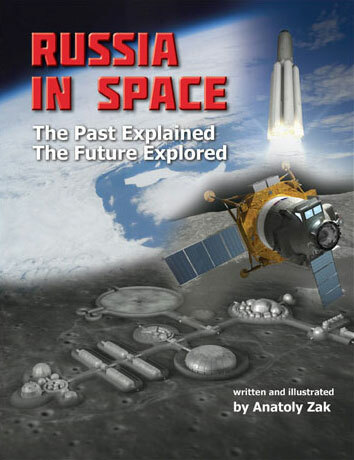 In 2017, Russian space officials dropped plans to launch the next-generation spacecraft on the modified version of the Angara-5 rocket and instead opted for the yet-to-be developed Soyuz-5 booster recently conceived within the Feniks and Sunkar projects. A concept of the Soyuz-5 rocket with the PTK Federatsiya spacecraft as envisioned at RKK Energia in 2017. In April 2017, the head of RKK Energia Vladimir Solntsev told the official TASS news agency that the Sunkar rocket would be a preferable launch vehicle for the PTK Federatsiya new-generation transport spacecraft to the Angara-5P rocket due to the lower cost of the former. According to Solntsev, the Sunkar would also be cheaper than the Ukraine's highly advanced Zenit rocket and the American brand-new Falcon-9 rocket. The Sunkar's launches with the PTK spacecraft would be comparable in price to that of the Soyuz-MS spacecraft, Solntsev promised. Speaking at the St. Petersburg economic forum on June 1, 2017, the Head of Roskosmos Igor Komarov estimated that the Feniks project, which encompassed the development of the Sunkar rocket, would allow reducing the lowest price per launch from the current $70 million to $55 million. Although the Sunkar was first conceived as a joint Russian-Kazakh vehicle aimed at the commercial satellite market, during 2017, the rocket's newly acquired role in the human space flight and other applications in the Russian space program, prompted the Kremlin to re-christen the future vehicle Soyuz-5. This name change caused some confusion at home and abroad because RKTs Progress in Samara, the developer of the Soyuz rocket family, had previously applied the Soyuz-5 designation to a prospective series of launchers burning methane propellant, which also vied for funding within the Feniks project. On May 22, 2017, President Putin endorsed a politically sensitive proposal from Roskosmos to base the next-generation manned spacecraft, PTK Federatsiya, in Baikonur rather than in Vostochny, for the ship's initial launches which would now switch from Angara-5P to Soyuz-5. In July of the same year, Deputy Prime Minister Dmitry Rogozin promised to complete the development of the Soyuz-5 (formerly Sunkar) rocket in 2021. Its development would be funded through the Feniks program. According to Rogozin, RKTs Progress would serve as the prime contractor in the program. However, as it transpired later, on July 28, 2017, the Russian government had issued a decision No. 1638r, which named RKK Energia as a prime contractor in the development of the new medium-class booster. Less than a month later, on August 22, Roskosmos awarded RKK Energia a contract No. 351-8502A/17/156 to develop a preliminary design of the Soyuz-5 launch vehicle by March 31, 2018. According to the newly drafted timeline, beginning in 2022, the Soyuz-5 would be used to launch the unmanned test version of the PTK Federatsiya spacecraft, as well as future modules for the Russian segment of the ISS. The new rocket would have to be certified (or "man-rated") for the first launch with a crew in 2024. 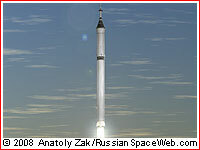 The PTK Federatsiya project previously relied on the man-rated version of the Angara-5 rocket, after the ship's originally proposed launcher -- Rus-M -- had been canceled in 2011 while still on the drawing board. According to available data from RKK Energia, during a typical mission, the Soyuz-5 rocket will initially insert the PTK Federatsiya spacecraft into a 200 by 135-kilometer orbit with an inclination 51.7 degrees. That inclination matches the latitude of Russia's new spaceport in Vostochny, however it is not expected to have a launch facility compatible with the Soyuz-5 rocket until the second half of the 2020s. As a result, all early missions of the Soyuz-5/Sunkar rockets had to originate from the refurbished Zenit launch complex in Baikonur. After reaching its initial elliptical orbit, the Federatsiya spacecraft will fire its own propulsion system at apogee to make it circular at an altitude of 200 kilometers. The estimated propellant consumption for this first maneuver is expected to reduce the mass of the spacecraft from 16 tons to 15.4 tons. Once in its circular orbit, the PTK spacecraft would be able to conduct either an autonomous orbital flight or to maneuver still higher to link up with an orbital tug or an orbiting space station. 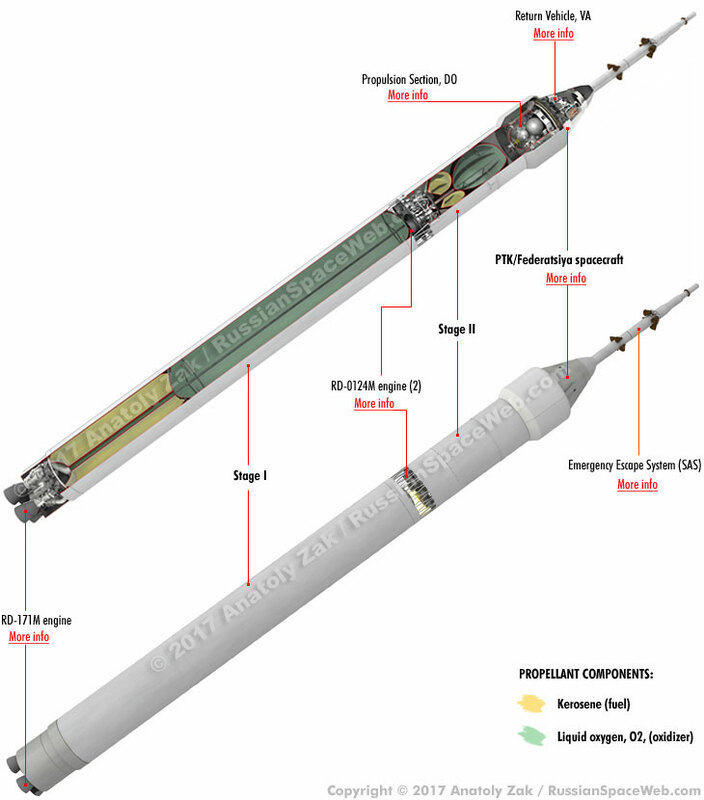 The Federatsiya would still need a much larger rocket than Soyuz-5 to go anywhere beyond low Earth orbit, which remains the ultimate goal of the PTK project. On August 11, 2017, RKK Energia officially confirmed that it had been working on the preliminary design of the Soyuz-5 launch vehicle including its man-rated version in cooperation with RKTs Progress and the TsENKI launch infrastructure organization, among other subcontractors.